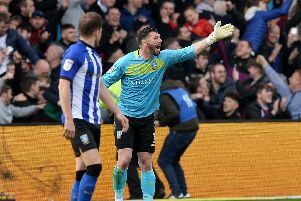 It’s the first Steel City derby of the season on Friday as Sheffield Wednesday make the short trip to Bramall Lane to take on Chris Wilder’s Sheffield United. Owls boss Jos Luhukay will have the tricky task of selecting his best starting XI for the match, with key players Fernando Forestieri and Marco Matias out with injury. Who would you choose for the starting line-up?